Check out our aerial videography short film of two friends tearing up an ATV (All Terrain Vehicle) track up north in Pahang. Two friends take a bone-jarring ride in all terrain vehicle. Watch their adventures from the air (through our aerial drone), on the ground (filmed by our 4K cinematographer) or be right next to them (through the Action Cam). 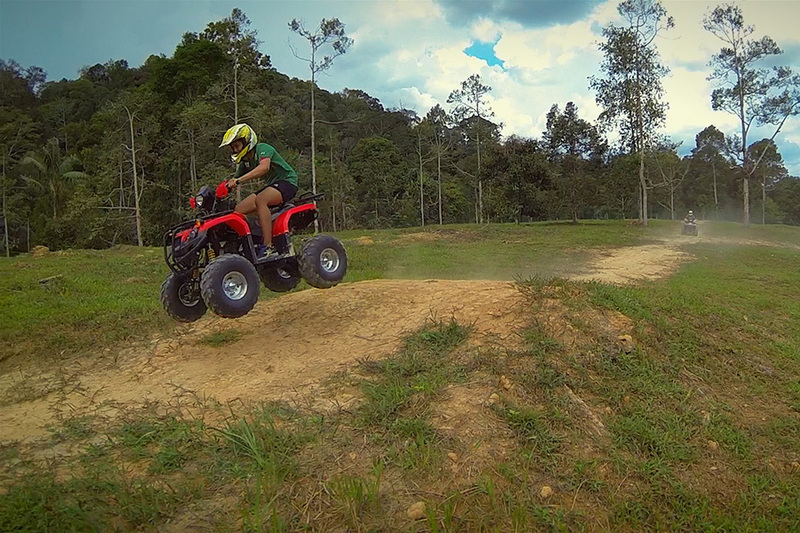 Watch as RedFM radio host Jeremy Teo scramble to keep the ATV under control as Mikey narrate their bumpy ride.